Shares of Starwood Hotels and Resorts jumped about 5% Wednesday after a report that Hyatt Hotels was in advanced talks to buy the company. The negotiations have been going on for weeks and could be announced in as little a week, according to CNBC. 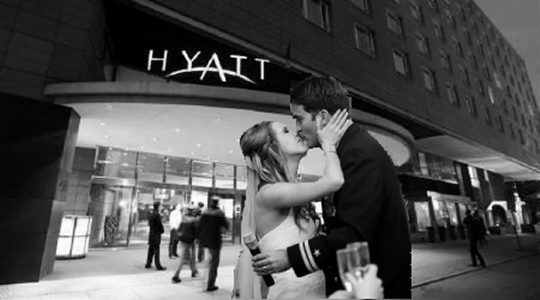 Hyatt management would take control of the combined companies, the report said, citing unnamed sources. Speculation over Starwood’s future has run high as the company has trailed competitors such as Marriott and InterContinental Hotels Group in growing its brands, which include Sheraton, W Hotels, and Aloft. Stamford, Conn.-based Starwood has more than 1,200 hotels in 100 countries. Marriott, meanwhile, has more than 4,200 hotels in 79 countries. Acquiring Starwood would greatly expand Chicago-based Hyatt Hotels, which has just 618 properties in 51 countries. To read more at USA Today, click here.